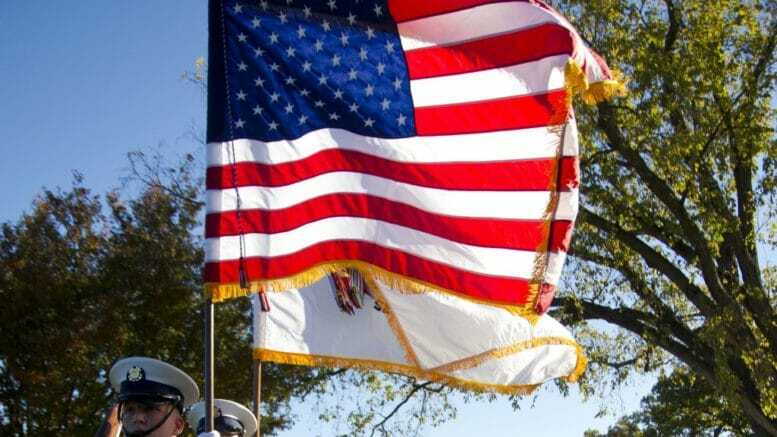 This year’s Veterans Day Memorial Event will take place on Nov. 11 from 11 a.m. to 1 p.m. at Cupertino Memorial Park. This year’s event marks the 12th anniversary of the dedication of the memorial. It was designed to remember fallen soldiers and is frequently visited by residents paying their respects. There are also two statues in Memorial Park, “The Guardians” representing Navy Seal’s that lived in Cupertino and died fighting the Taliban in Afghanistan. This event is an opportunity to salute our veterans, active duty military and first responders. For more information about the Cupertino Veterans Memorial, click here. Below is video from the 2017 Cupertino Veterans Day Ceremony. Be the first to comment on "Honor soldiers at this year’s Veterans Day Memorial Event at Memorial Park"